What is the alcohol content of Franzia Moscato? Has been a while since we purchased their Moscato. Offhand we think it was 7%. Sipping on a glass of this right now. Says 10.0% on the box. Thanks for the info... 10% very nice! How come the alcohol content is no longer anywhere on Franzia's box wine?? I remember it use to be and there "crisp white" was one of the strongest with I wanna say 13% but can't be for sure since it was a while back..? I have a box of Chillable Red in the fridge. I see 9% Alcohol Content by the spout. Maybe it's a fluke for the Moscato? 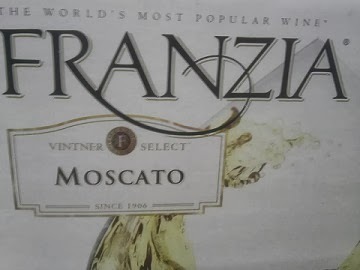 Franzia Moscato...10% alcohol content is still on the box, on the side. Excellent white wine.